Introducing Corey Gash. Born with an abnormal brain and super-human talents, this guy has it going on. From building out a wooden music studio in the early 90's to a total renovation of an old coastal barn, Corey is the definition of a man's man and creative pioneer. He's also a music producer, drummer, chef extraordinaire, flea market king, family man, and designer. Before using reclaimed materials was considered "green" this guy would scour the back alleys of Newport Beach to find all sorts of reusable treasure. Corey is no traditional designer, and as a matter of fact, he fell into the design field by accident as his passion for music production bled into a passion for building music studios. This curiosity and pursuit to build music studios lead him to study design decades after he started customizing spaces. 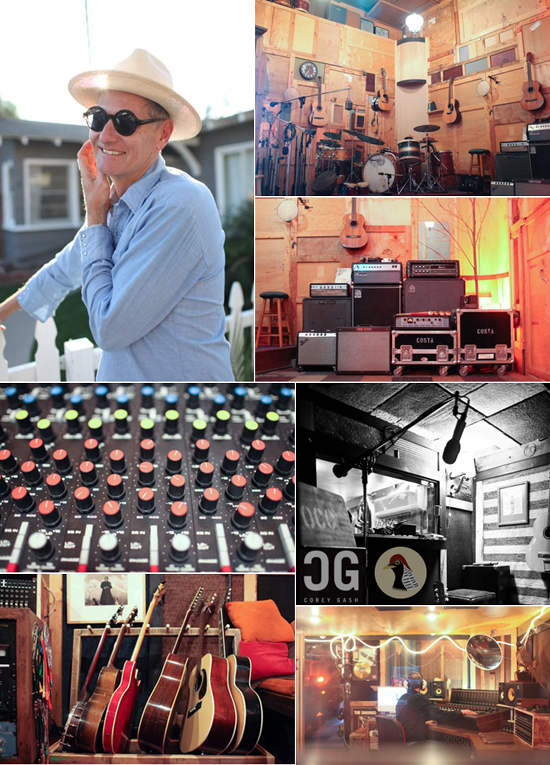 His own personal music studio, which goes by the monicker of Pheasant Studios was built almost entirely by wooden crates he found around various locations of Southern California in the early 90's. During the inception of this space, the foundation had an abnormally high ceiling, so Corey decided to create a second story living space equipped with a full blown kitchen, bedroom, and entertainment center. Pheasant Studios is the epitome of coastal cool boasting an americana, gentleman-like charm. Here's a few snaps from this wonderful place. Keep an eye out for this guy as we'll be highlighting his works as inspiration and one of our go to project design gurus for Wellbuilt.